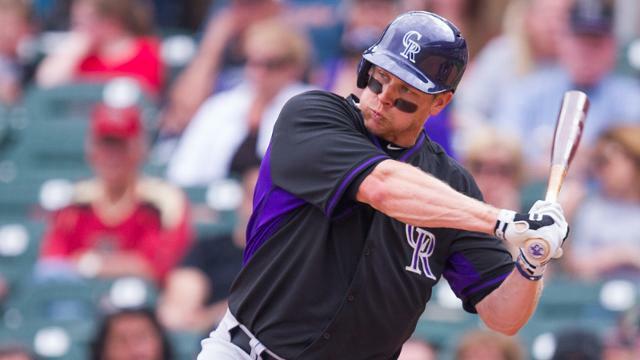 Justin Morneau-1B-Rockies- Morneau’s career has been on the decline for several years now, and given his age and injury history, it doesn’t seem to have much of a chance of rejuvenating going forward. In his last 1493 plate appearances, Morneau has hit only 40 home runs. His batting average is only a meager .256 over the past three seasons and although it might get a boost by the Colorado high altitude, it won’t be enough for him to be fantasy relevant in your leagues. Move on. Nelson Cruz-OF-Orioles- There are sure to be a lot of owners out there rolling their collective eyes and scratching their heads at this selection but let’s break down the numbers. To start with, if you draft this slugger, you will have to make sure you have some extra backups in place as Cruz, in his 8 year MLB career, has only had 500 or more ABs only once! Not very durable. He does not hit for average, and over the past three seasons his on-base-percentage of .319 ranks him 72nd out of 96 qualified outfielders. We’re not saying that 25/85, (which is what you can expect from Cruz) makes him ‘un-draftable’, we’re just suggesting that you don’t grab him too early. 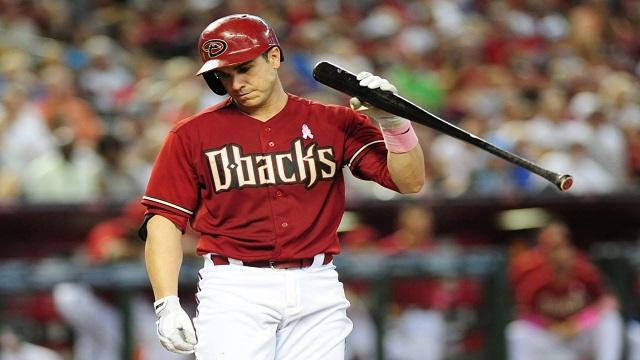 Miguel Montero-C-Diamondbacks- More overrated than an actual potential bust, Montero has never hit more than 18 home runs in a season since coming into the majors late in 2006, and let’s face it, the catcher position in fantasy is really all about HRs and RBIs more than anything else. Montero hit .230 last year and has a .267 career BA. The fact that he will turn 31 this summer will not help him maintain or increase those averages. Draft with caution. Mike Moustakas-3B-Royals- When Moustakas came up to the majors, there were high expectations since he was the 2nd overall pick of the Royals in the 2007 draft. Given his numbers since arriving in 2011 at the age of just 22, it doesn’t appear that those expectations were met. In the three years since being called up, Moustakas has averaged a paltry .244 batting average and now the 25 year old has a total of 37 home runs in 1373 career plate appearances. Neither stat is anything to get excited about; if anything it only shows that perhaps the youngster was called up a bit too early. Starlin Castro-SS-Cubs- We’re not sure what the heck happened to Castro last year but ALL of his stats took a nosedive! We can only surmise that his number of at-bats, 666, had something to do with it! His stolen bases, his main reason for relevance in fantasy baseball, dropped from 25 to 9, but more importantly his batting average fell 38 points; from .283 to .245. Ouch! Castro’s slugging percentage also fell through the floor going from .408 to .347. Can the 24 year old turn things around? Possibly. But do you want to draft him early to find out? Dan Uggla-2B-Braves- Uggla’s stock has been falling since leaving the Marlins and moving a little further north to Atlanta. His batting average in his last year in Miami was .287 and since has dropped to .233, .220, and last season was completely under the Mendoza line at .179. 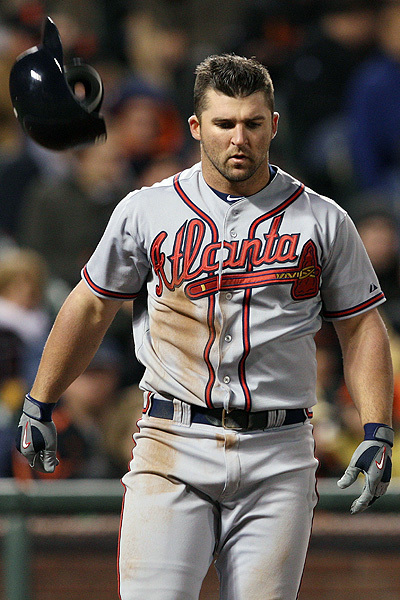 Over the last two years, Uggla has averaged just around 20 homers and 66 RBIs. Keep in mind that the Braves benched Uggla in the postseason last year, clearly an indication that they have lost faith in the 34 year old-just about as much as we have. I like your list of potential bust especially Uggla who is in the wrong league. He is a DH in waiting for either the Yankees, Texas or some other team in contention in the AL. Castro? maybe a bad lineup has him trying to do too much?? at 24 though he is worth the gamble… too much upside. I really agree with Moreneau…gut feeling he is shot but …the Rocky air has been known to be good to hitters, Cruz is going to hit…contract year he is playing for another contract and he will be doing some untraceable …ped to insure his number, yes I said it yes I went there. Yes, you did say it and there is no one out there that knows sports, that would disagree with you. Good point about Uggla. Hey, you forgot to add Robinson Cano’s new lineup to your list of busts. As for Morneau, I hope you’re wrong on that count. Not sure that Cano will be a bust so much as he will just lose some of the homers that the short right porch afforded him at Yankee Stadium. Of course, as the best hitter on the club I am sure that a lot of clubs will pitch around him and take their chances will the other eight batters. If that happens with some semblance of frequency than you could be right in calling him a bust. No, I wasn’t calling Cano the bust . . just his lineup. It was a poor attempt at humor, but so is that lineup.